The Smithsonian’s annual Folklife Festival, now underway (June 24–June 28 and July 1–July 5), highlights cultures around the world through performances and demonstrations of living traditions. “Wales Smithsonian Cymru” brings a dynamic and rarely explored culture to the National Mall. Wales—Cymru in Welsh (pronounced KUM-ree)—is a tiny, resilient nation that has managed not only to survive from ancient times, but also to thrive in the modern era. This year’s Festival highlights how Wales’ national heritage combines a devotion to its rich cultural past with a willingness to modernize. 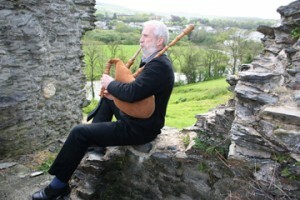 Music and dance performances include Welsh singers, musicians playing the ancient crwth and pibgorn, fiddlers, harpists and groups such as Crasdant, The Hennesseys and Parti Cut Lioi, a folk choir. This week, visitors can work on their singing skills with the Welsh National Opera’s outreach group. Next week (July 1-July 5), the popular men’s choir Only Men Aloud!, winners of the BBC television show “Last Choir Standing,” will perform. Award-winning chefs will give cooking demonstrations and visitors are encouraged to help out as they learn the techniques of Welsh culinary arts. Welsh cuisine tends prominently features lamb, sweetbreads, leeks and seafood such as monkfish and cockles. There are ample opportunities to sample Welsh cuisine, including cawl (a traditional stew made from lamb and vegetables), glamorgan sausage (a vegetarian dish of leeks, cheese, onions and mustard) and a variety of other Welsh dishes. The language and literature of Wales are a vital part of its national identity. The Welsh language is ancient, dating from the sixth century, and along with English, is the country’s official language. Citizens are bilingual in both languages and each has equal status. Visitors will have the opportunity to learn words and phrases in Welsh and gain insight into a language whose spelling and pronunciation can seem impenetrable. 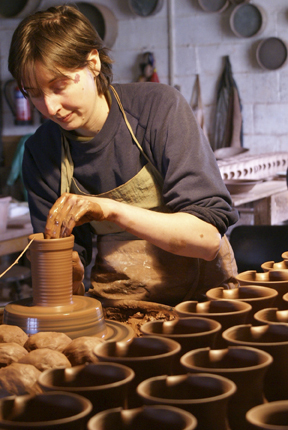 The Welsh passion for craft-making will have a prominent place in the program. Among those giving demonstrations is Caitlin Jenkins, a ninth-generation potter from Ewenny Pottery in Southern Wales, which is said to have been established in 1610, making it the oldest family-run pottery in Wales. Welsh woodcrafters will demonstrate the restoration process for traditional Welsh dressers. Visitors can learn how to make their own baskets from recycled materials, and how to felt Welsh wools. “Las Américas: Un Mundo Musical (The Americas: A Musical World) showcases an incredible diversity of musical styles. It is the fourth and last program of the “Nuestra Música: Music in Latino Culture” series. Music from Central and South America is often grouped under the broad label “Latino music” when, in fact, there are many distinctive musical styles and traditions. 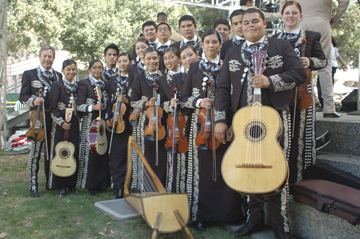 Vista High School in Chula Vista, Calif., and the well-known Mariachi Los Camperos de Nati Cano, winners of the 2009 Grammy for Best Regional Mexican Album. 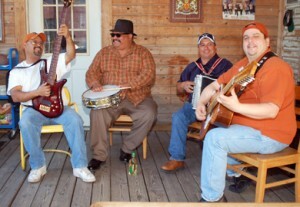 Los Texmaniacs, a group from San Antonio, will play their unique blend of traditional instrumentation and blues, rock and country influences. Many of the musicians are represented in the Tradiciones/Traditions CD series produced by Smithsonian Folkways Recordings that is available for purchase at the Folklife Festival Marketplace. 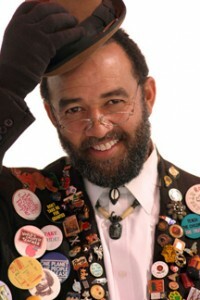 Storyteller and actor Mitch Capel is the cofounder of the African American Storytellers' Retreat. He is the author of the children's book "The Jealous Farmer," and three award-winning CDs. “Giving Voice: The Power of Words in African American Culture” will celebrate the power and diversity of African American oral traditions. Through of poetry, storytelling, comedy, radio and theater, generations of African Americans were able to find a unique voice to express shared struggles and triumphs. According to Lonnie Bunch, director of the African American History and Culture Museum, “It’s hard to imagine a celebration more powerful and more timely than this. Words have the power to connect people, to convey ideas, to give comfort, to make us laugh and to call us to action.” This year’s program will show how words, expressed in a variety of media, communicated the African American experience throughout American history. 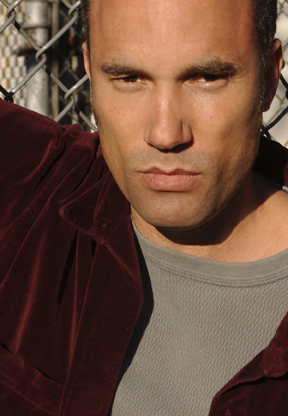 Roger Guenveur Smith is a writer, director, and actor who has appeared in film, television, and stage productions. Oral traditions such as storytelling were one of the few ways enslaved African Americans could share memories, stories of adversity and tales of triumph with their loved ones. Frequently interactive and improvisational, spoken performances will be a key feature of “Giving Voice,” reflecting their rightful status in African American culture. Performers will include masterful storytellers Charlotte Blake-Alston, accompanying herself on various African instruments; Mitch Capel (also known as “Gran’daddy Junebug,” a “word magician”); Baba Jamal Koram, a recipient of the 2007 Circle of Excellence Award from the National Storytelling Network; and Valerie Tutson, director of the Black Storytelling Festival. 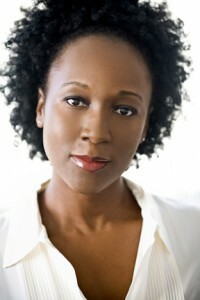 Toni Blackman is a New York City-based poet, emcee, freestyle rap artist and teacher. Festival visitors will to hear the poetry of author Sonia Sanchez, and New York-based freestyle rap artist Toni Blackman (formerly the Department of State’s “Ambassador of Hip-Hop”), as well as local poets E. Ethelbert Miller and A.B. Spellman. The “Young Wordsmiths” section will incorporate all of the oral traditions into children’s games. Children will be able to tell stories, act in comic skits, compose poetry, and engage in a variety of play and art-making. A special treat for young visitors is the performance of beloved singer, storyteller, and promoter of children’s music Ella Jenkins, winner of a Grammy Lifetime Achievement. Ekaterina (Kate) Afanasyeva, a recent graduate of the College of William and Mary in Williamsburg, Va., is an intern in the Office of Public Affairs.